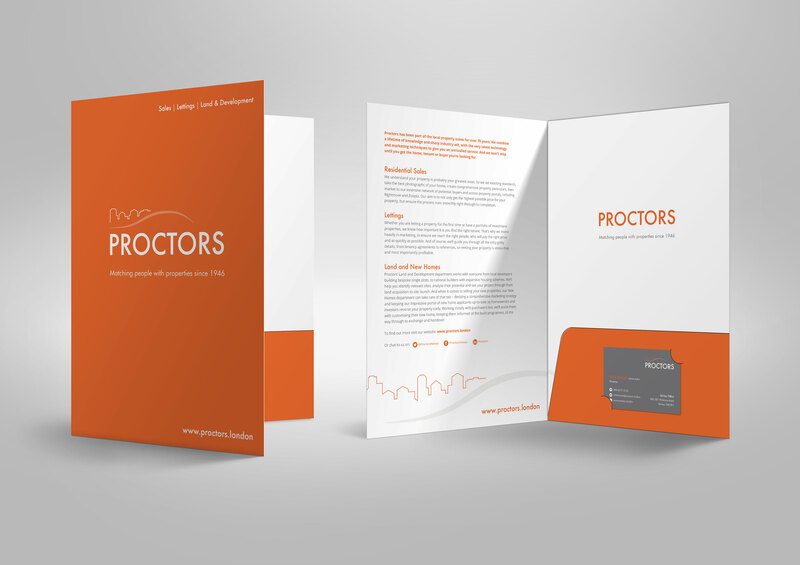 A full rebranding and marketing campaign for successful estate agency firm with a rich family history. 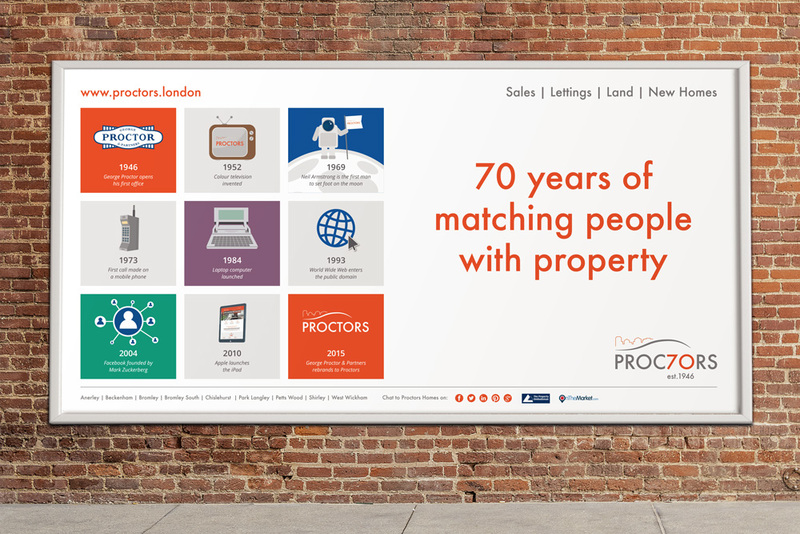 Faced with increased competition and an ever-turbulent property market, estate agency, George Proctor & Partners came to RONIN to conduct an in depth marketing audit. 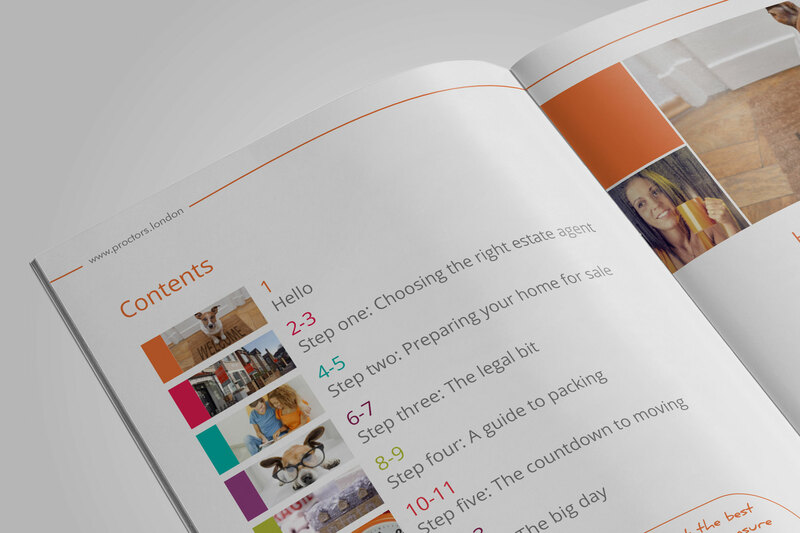 The inital 40,000 word report – a combination of desk research, quantitative and qualitative research and mystery branch visits – would result in a dramatic transformation, and a fully-revised marketing strategy. 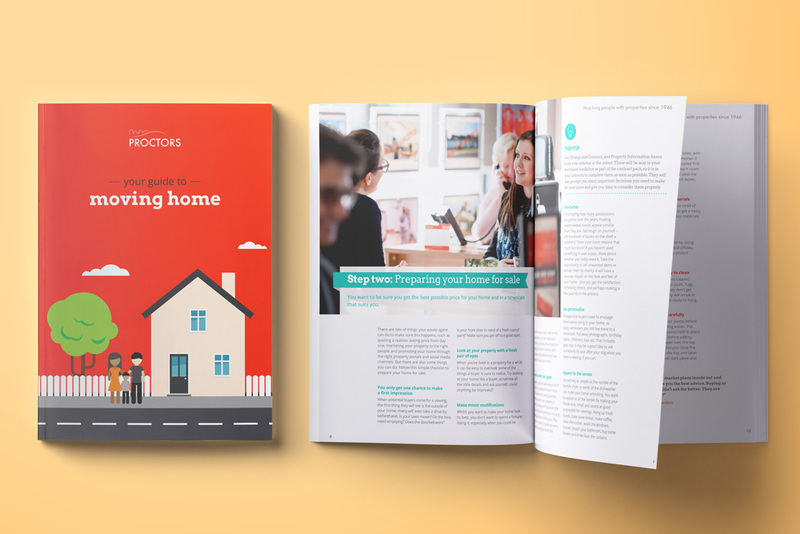 The aim was to evolve a brand with 65 years of history to appeal to savvier homebuyers and sellers, whilst retaining the company’s focus on good old-fashioned customer service. 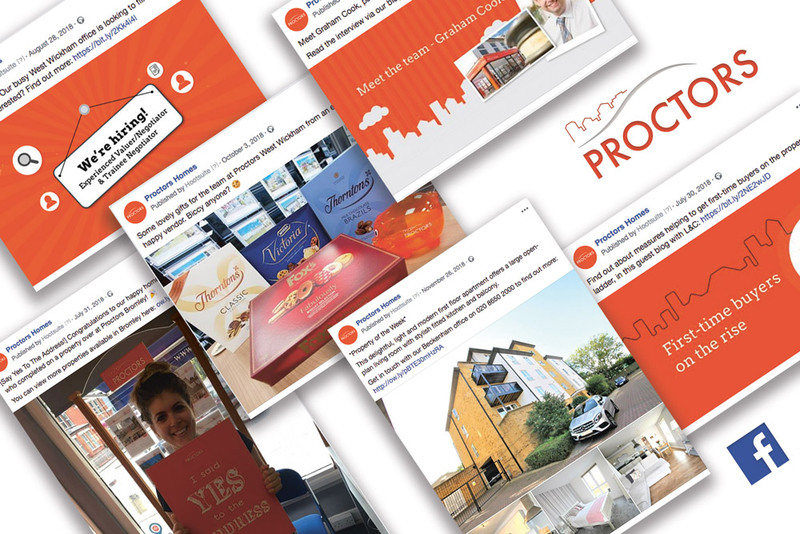 A smart rebrand needed to be matched with a powerful set of messages, to be applied across all marketing materials, website, PR and social media activity. 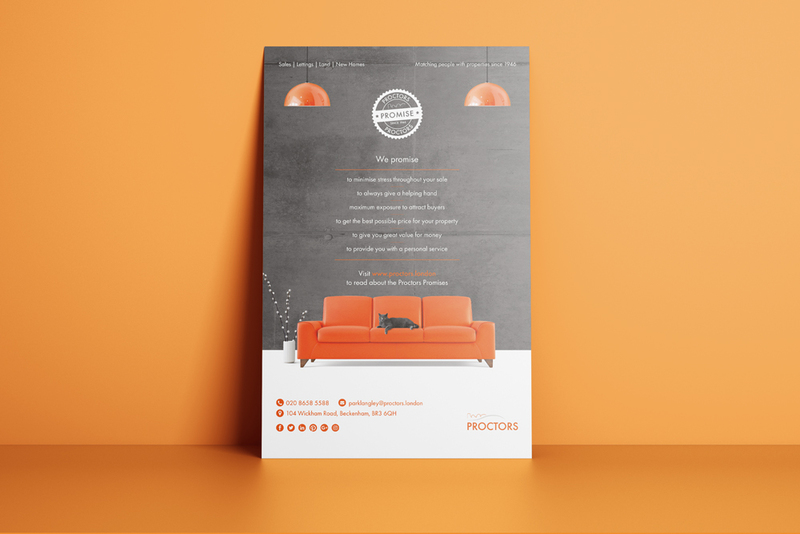 Cue, RONIN’s astute team of graphic designers and marketing gurus. 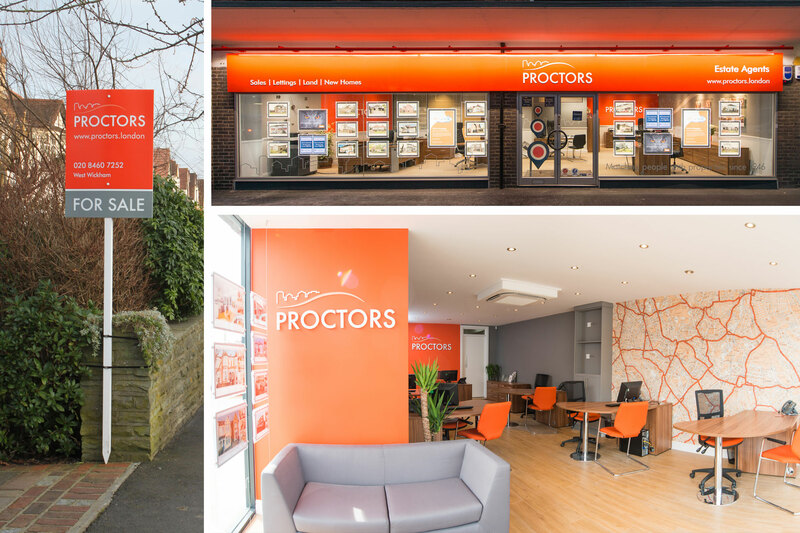 Rolled out across its branches in London Borough of Bromley, Shirley in Croydon and Anerley, the estate agents underwent a complete rebrand, complete with snazzy shop signage, fresh marketing collateral, a website facelift, advertising campaign, and a comprehensive PR and social media strategy. 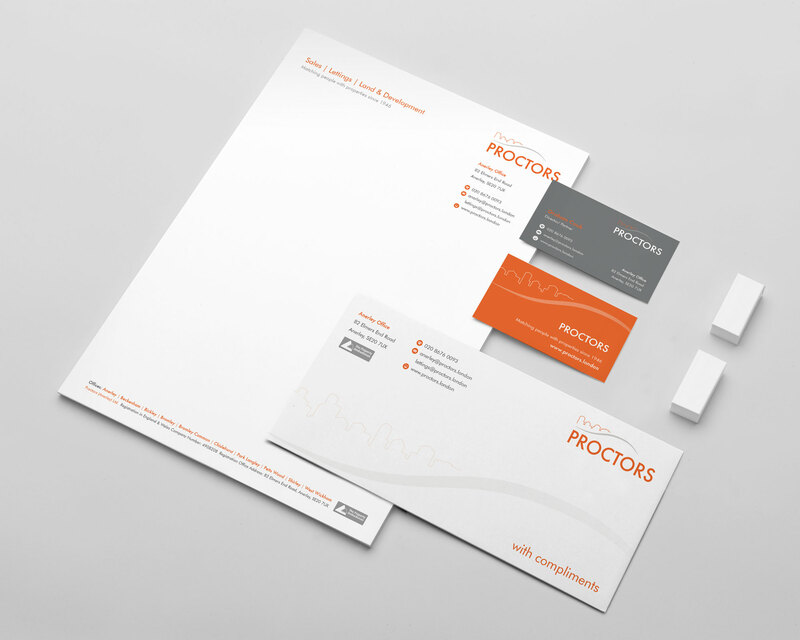 And, the eagle-eyed will have noticed that it is now simply called ‘Proctors’. 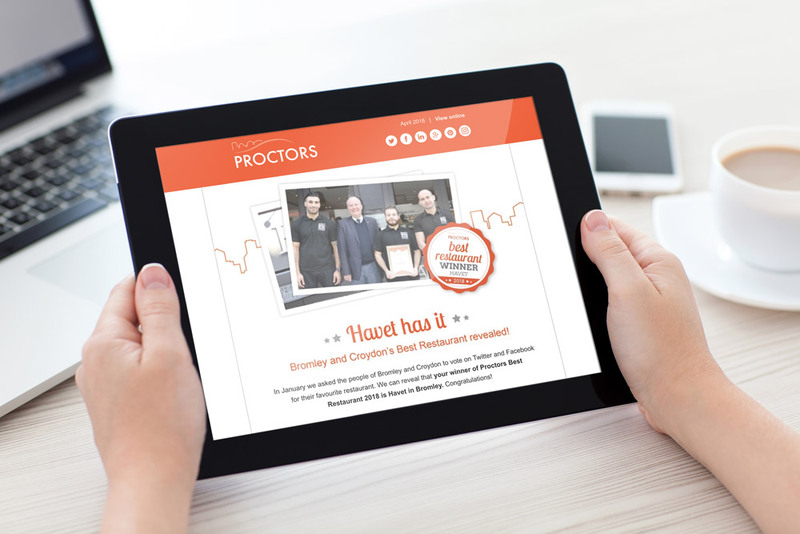 Embracing digital marketing, the strategy included the introduction of a quarterly ‘Proctors Award’ to celebrate local businesses and social media has been key in creating and maintaining a strong online presence. 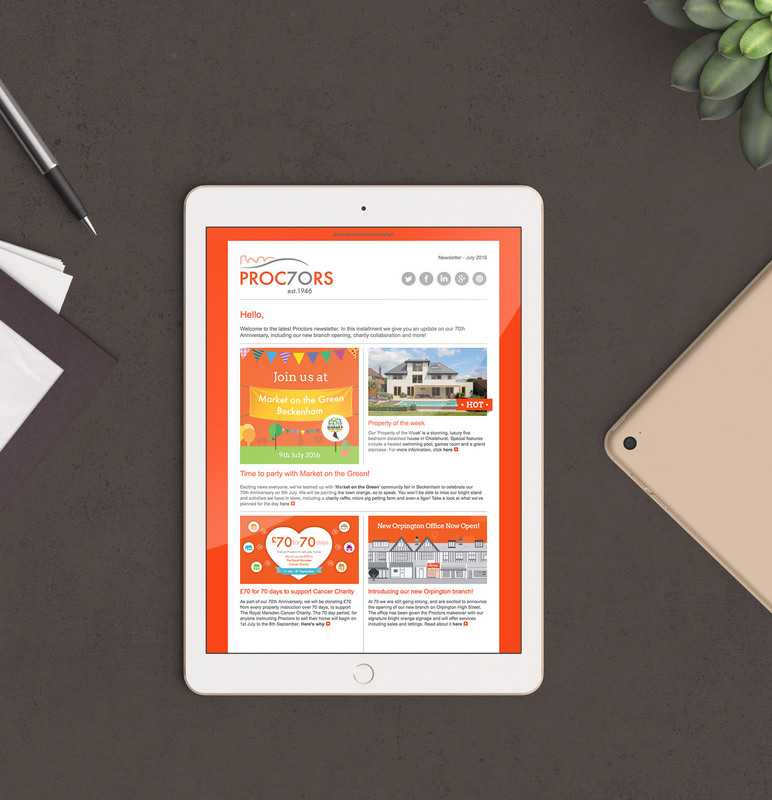 Championing a cohesive approach, RONIN aligned traditional, print and digital marketing to create integrated campaigns to continue to build on Proctors’ on-going success.